This library supports the Small OLED displays sold by Adafruit Industries. 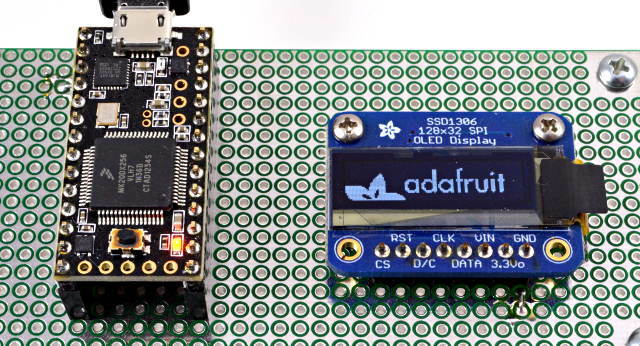 Adafruit sells these OLED displays in I2C and SPI interface. See below for the reverse-side wiring. 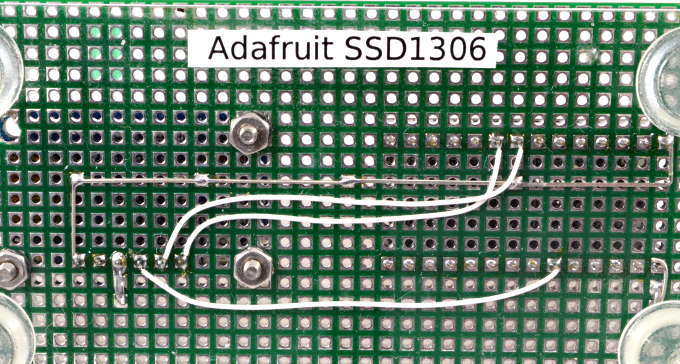 You may need to edit Adafruit_SSD1306.h to set the display height. Look for this code and uncomment either 64 or 32 pixel height. This example program comes with the library. 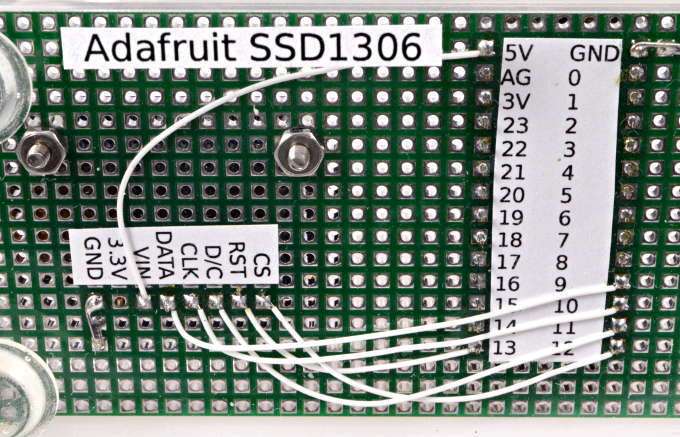 You can open it from the File -> Examples -> Adafruit_SSD1306 -> ssd1306_128x32_spi menu. Pick one up today in the adafruit shop! Written by Limor Fried/Ladyada  for Adafruit Industries.